Experience nature with these majestic creatures in Arthur Court’s Horse Oblong Tray. 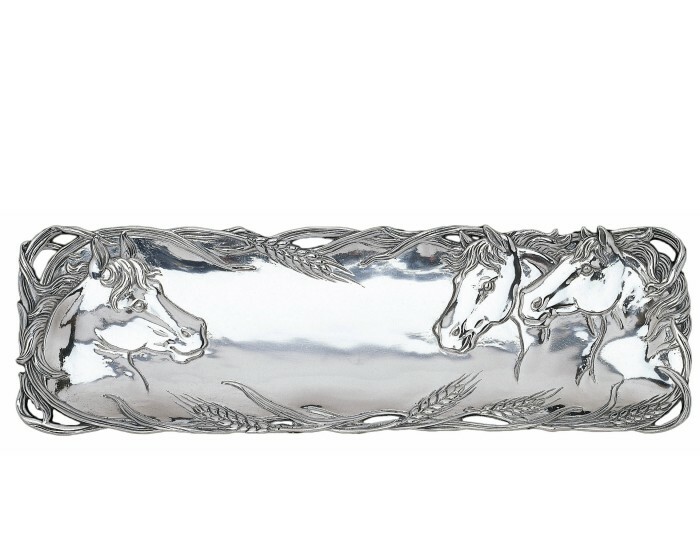 Multiple stallions gaze longily at each other from opposite ends of this handmade, aluminum piece. 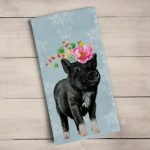 Stalks of wheat form the tray’s openwork edges, their textured heads mixing beautifully with the horses’ detailed manes. 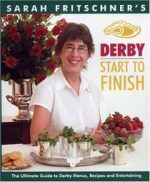 Derby Start To Finish Cookbook – The Ultimate Guide to Derby Menus, Recipes, and Entertaining!